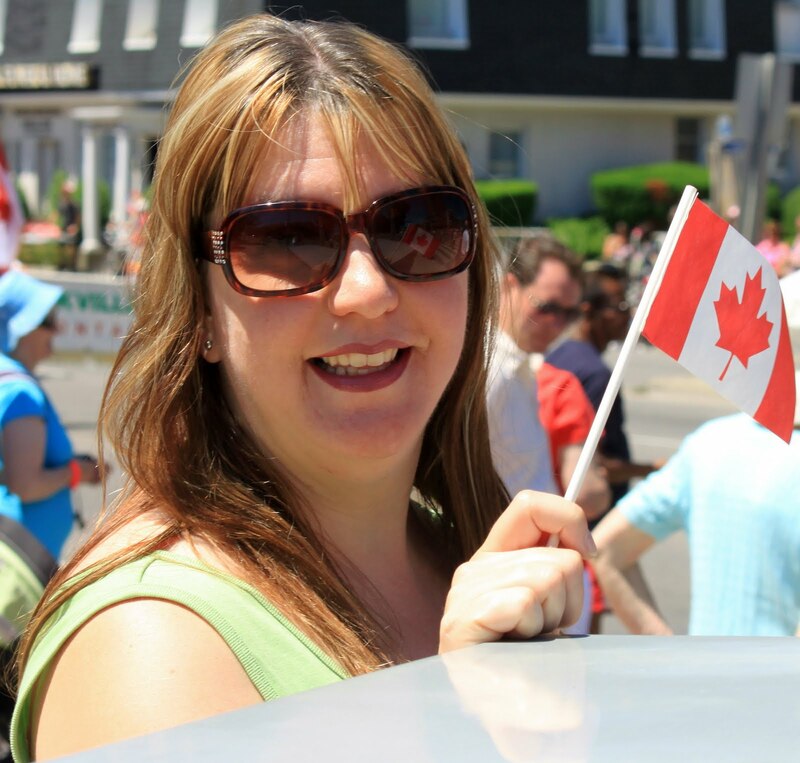 Enjoying the Canada Day parade in Port Credit. Rob and I had no real plans for Canada Day, but I woke with a yearning to be close to the water, so after enjoying coffee and chocolate croissants from the local bakery in the backyard we headed to one of our favorite spots along Lake Ontario, Port Credit. We arrived just in time to catch their annual Canada Day parade. Rob enjoyed all the old cars in the parade. It's not a real parade until you hear bagpipes! After the parade we enjoyed a walk up the middle of Lake Shore which was closed due to the parade. We had lunch at Snug Harbour and then a walk along the lake. I liked how they used these old bikes as planters in Port Credit, they were all over the village. After our outing to Port Credit we enjoyed the afternoon in our backyard. This Red-winged Blackbird enjoyed a bath in the holiday sunshine. 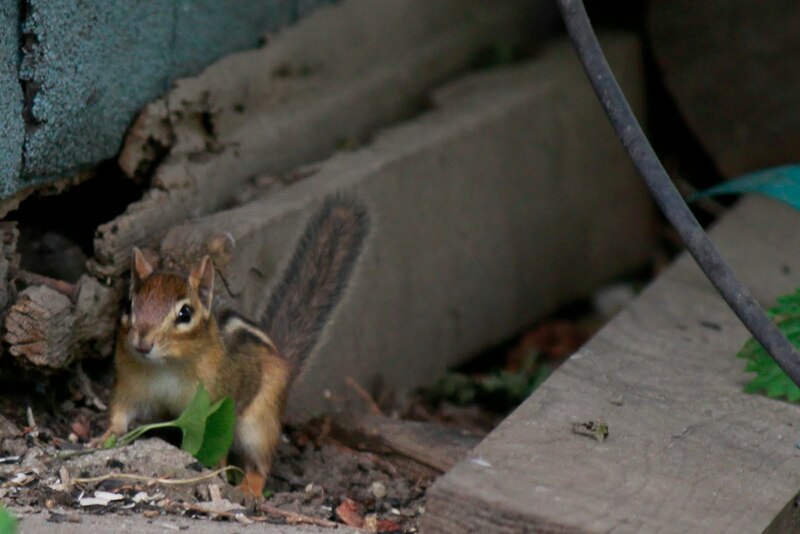 Discovering we had 2 chipmunks in the backyard was a great holiday surprise. Meadow always enjoys her time in the backyard, holiday or not. After dinner we went over to visit friends who recently purchased their first home a short drive from our place. The Walker Family enjoying Canada Day in their new backyard. Looks like a fun day! I love Port Credit!